The computer virus Dorifel became the past three days a very prominent news item as it was on a rampage, infecting as many computers as possible on both government and private networks. IT personnel were stressed out since there were next to no virus signatures to detect the malware. The inconvenience felt by the general public grew fast as many town’s civil services, like the issuing of passports, had to be taken offline for damage control: Dorifel had encrypted most Excel and Word documents and converted them into executable files. The result was that many government staff had to blow the dust of the old fashioned typewriters again as they were asked to leave their computers switched off in an attempt to stop the outbreak in its tracks. The creativity of cybercriminals is endless and they do their utmost to stay hidden, bypass antivirus protection, slow down malware research and do something new. Knowing that most antivirus products will first focus on malware blocking only, we figured at the start of the outbreak that there will be no readily available solution soon to recover the millions of affected documents (which prolongs the exposure of sensitive data to the cybercriminals). While we were investigating the outbreak, we also spoke with Fabian Wosar of Emsisoft who was immediately keen to help. He recently created tooling to combat the ACCDFISA and Reveton ransomware families and conveniently had a few boiler plate functions laying around to speed up development of a dedicated remediation tool. We immediately setup an extra examination environment in our office in Hengelo for Fabian to remotely work on with us, gathered malicious objects and affected documents and started to analyze the malware’s code and behaviors. The task was to find out how the seized documents were encrypted, if there was a way to recover them and, if possible, create a special tool that people can use to recover their documents. From this spot we would again like to thank Fabian Wosar for working with us on such short notice and helping everybody, especially the Dutch people, in limiting the effects of this attack. To continue, we would like to share some interesting details that we encountered using the images below. 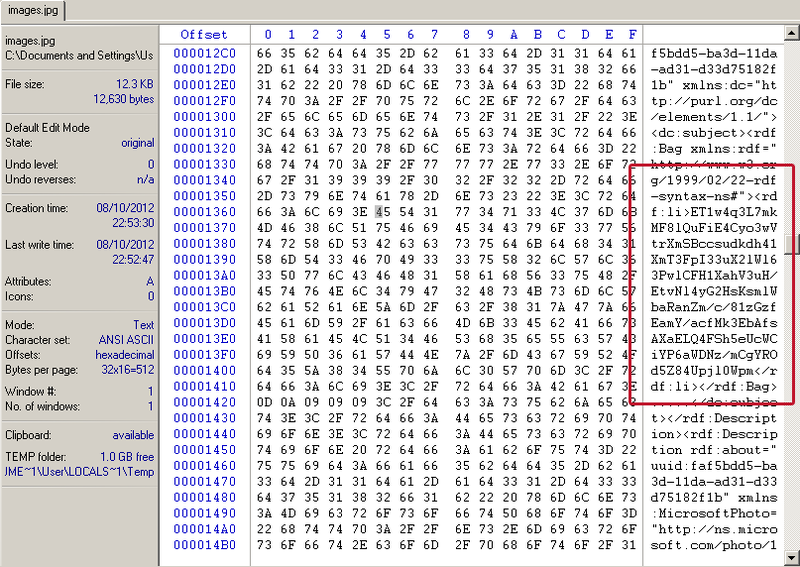 Image: Word, Excel and application files are automatically altered and renamed by the Dorifel malware. Notice the ? 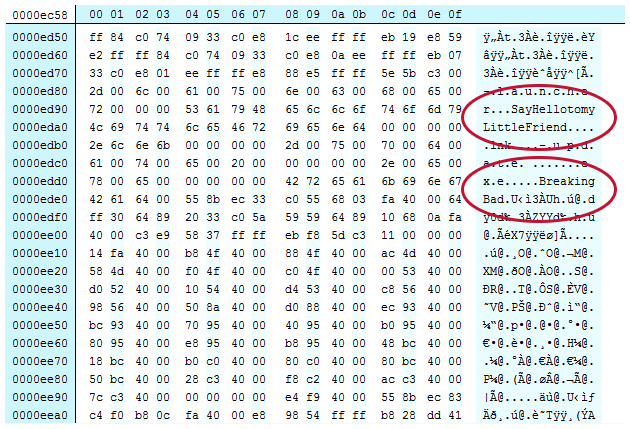 which is in fact unicode character 202E (aka RTLO right-to-left-override character) which causes the infected file to show up in Windows as ‘Contractrcs.doc’ to fool users the file is still a document. Image: The encrypted ‘documents’ contains movie phrases and references to TV shows. Image: The +++scarface+++ marker indicating the start of the encrypted data, which represents the original document. 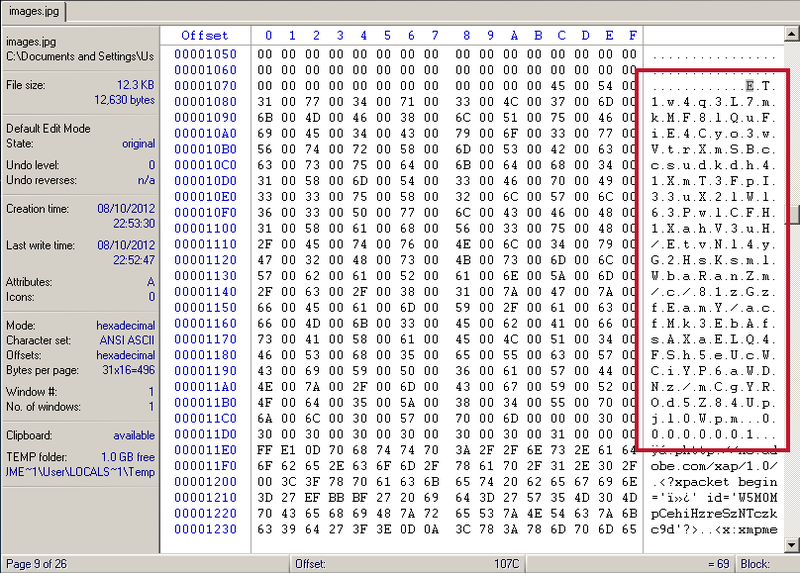 Image: The pseudo code of the encryption/decryption loop. Image: The assembly code of the encryption/decryption loop. Image: Dorifel communicating on the network. Notice it queries for a local machine named KASPERSKY. 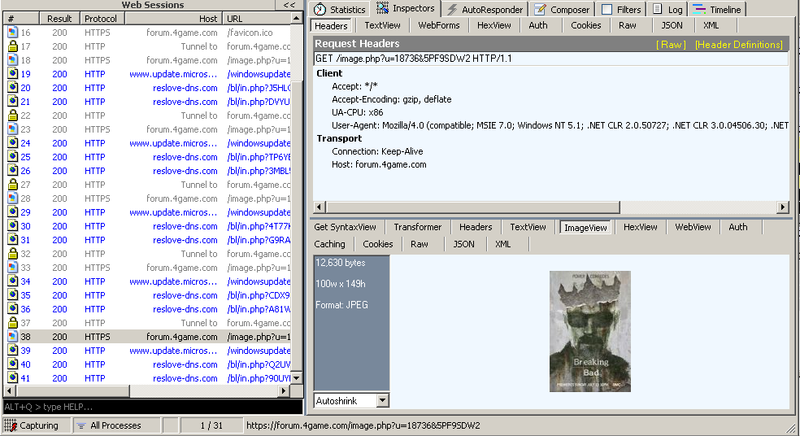 More important, notice the internet traffic with the pin= parameter, where Dorifel tries get additional payload. Since it first tries to connect to Microsoft’s Update Service (which is hardcoded in the malware) we think that the attackers were also planning to redirect Windows update traffic. The domain reslove-dns.com is currently sinkholed. Image: Dorifel connecting to the forum.4game.com website for Command & Control information. Image: Every 1500 seconds Dorifel is retrieving a seemingly harmless ‘Breaking Bad’ season 5 poster (jpeg). Image: Small extract from our database where our HitmanPro software was used to rescue AV protected computers that were infected by Dorifel. 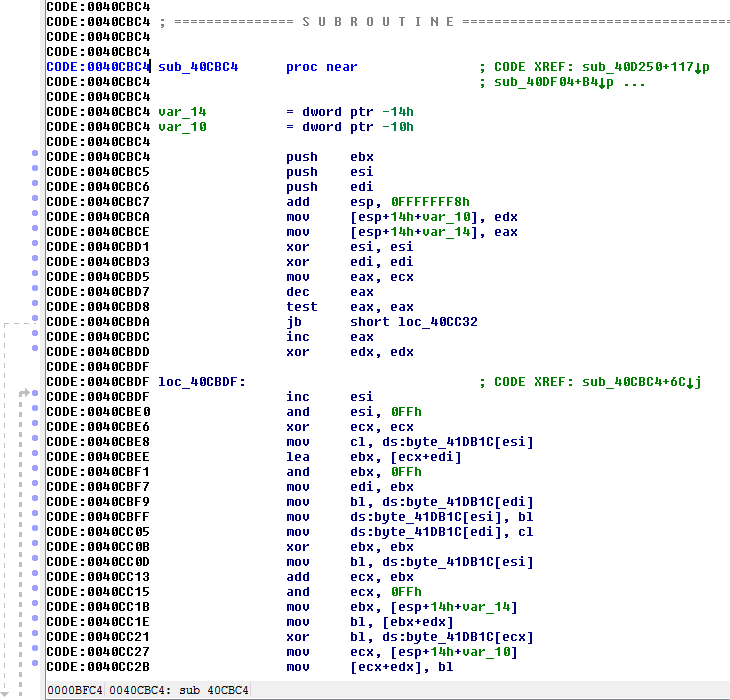 The table shows that many machines also had Zeus/Zbot/Citadel Trojans, for weeks! Note: user 4624107 had an expired license of our software, which is why the same malware was detected twice. This entry was posted on Saturday, August 11th, 2012 at 8:14 am and is filed under Uncategorized. You can follow any responses to this entry through the RSS 2.0 feed. Both comments and pings are currently closed.